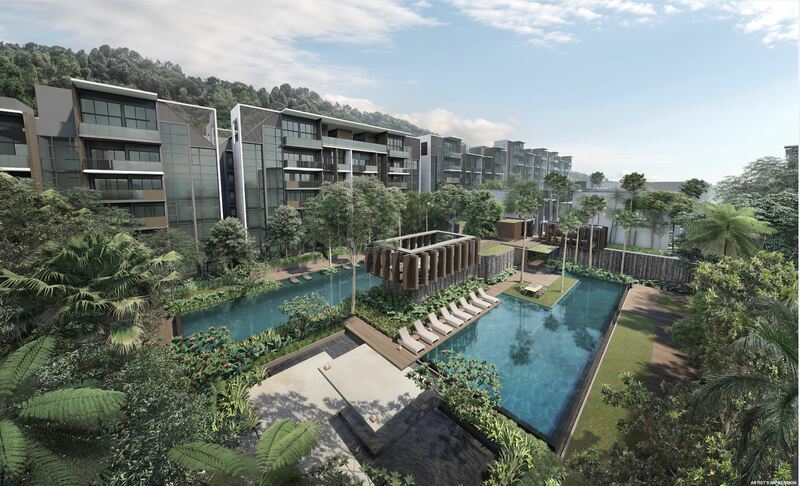 Kent Ridge Hill Residences - A brand new 5-storey luxury condominium development by Oxley Holdings Limited along South Buona Vista road, a short walk from Pasir Panjang MRT. Comprising 548 units (inclusive of 50 Strata Landed Houses) on a large plot of 320,000 sqft land, which was occupied by the former Vista Park for over 3 decades. 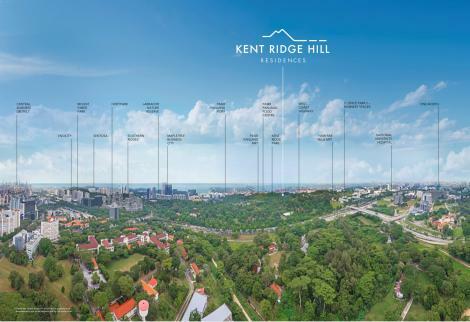 Kent Ridge Hill Residence is located at the edge of Kent Ridge Park, nature is literally by your doorstep and it is easy to forget that you are just minutes away from the city centre. The entire development is elevated from street level, slated to host 498 luxurious units and 50 Strata Landed Houses within the rising slope boundary, there will definitely be an suitable unit type that suits even the most sophisticated home buyer's need. Kent Ridge Hill Residences is designed to harmonize and be one with its unique hillside location. 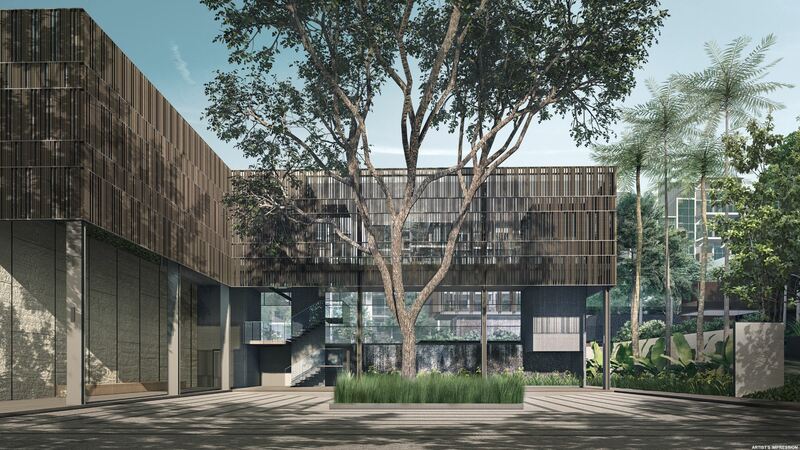 it is deliberately kept low-rise to respect its natural surroundings and preserve its exclusively. Myriad water features replicate the effect of cascading waterfalls flowing from the undulating landscape. 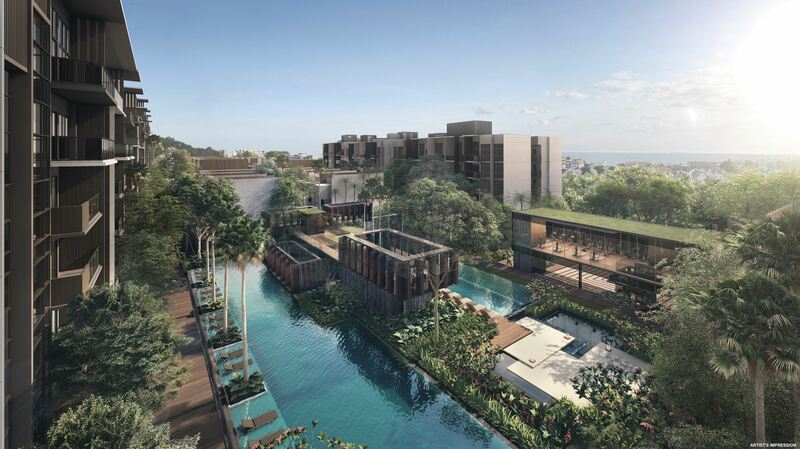 the experience is just as alluring as the modern luxury lifestyle one can expect at Kent Ridge Hill Residences. Just minutes to the Central Business District, yet worlds away. Residents in this South Buona Vista locale have long loved its peaceful and close-knit community ambiance. In its vicinity are quaint eateries, cafes, and shops for essentials. 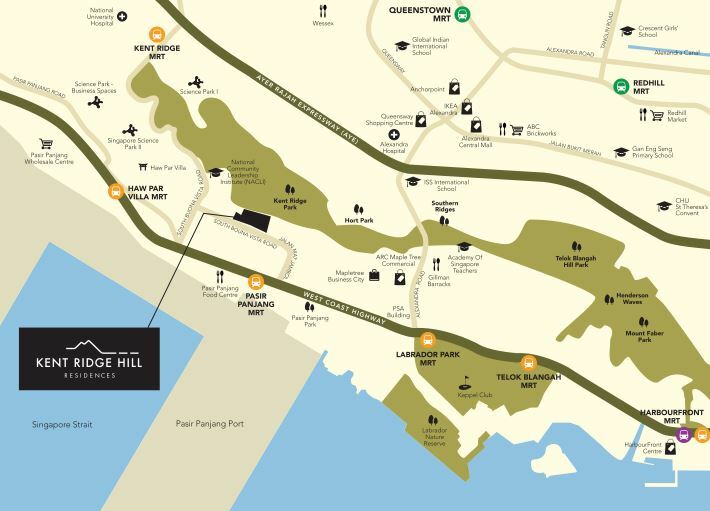 The lifestyle enclaves of Holland Village, Rochester Park, Sentosa, and Dempsey Hill are just a stone's throw away. As of now the Pasir Panjang Port is off the coast here, but that will change in due course. Under URA’s master plan, this port is set to move to Tuas when the lease runs out after 2027. Arising in its place along the coast will be the Greater Southern Waterfront City, stretching all the way to Shenton Way. Property values of this area should rise in tandem with that. 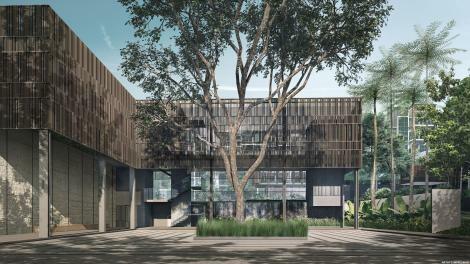 In the meantime, this estate is quieter and less crowded than most other parts of Singapore, making it an attractive place to come home to.